Picture it, study it, master it, remember it. 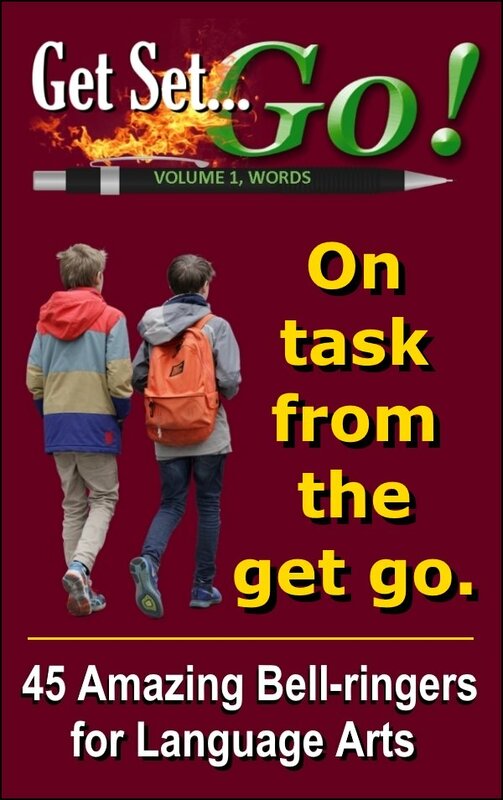 This simple, but surprisingly effective teaching strategy, allows students in grades 6-8 to do just what this resource’s title suggests-- level up on their reading comprehension! 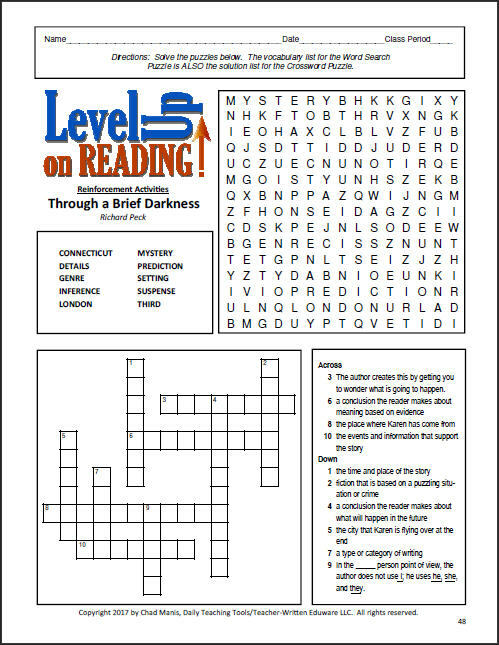 Level Up on Reading, Volume 1 contains 10, 5-page reading comprehension packets drawn from engaging works of fiction, nonfiction, and autobiography. 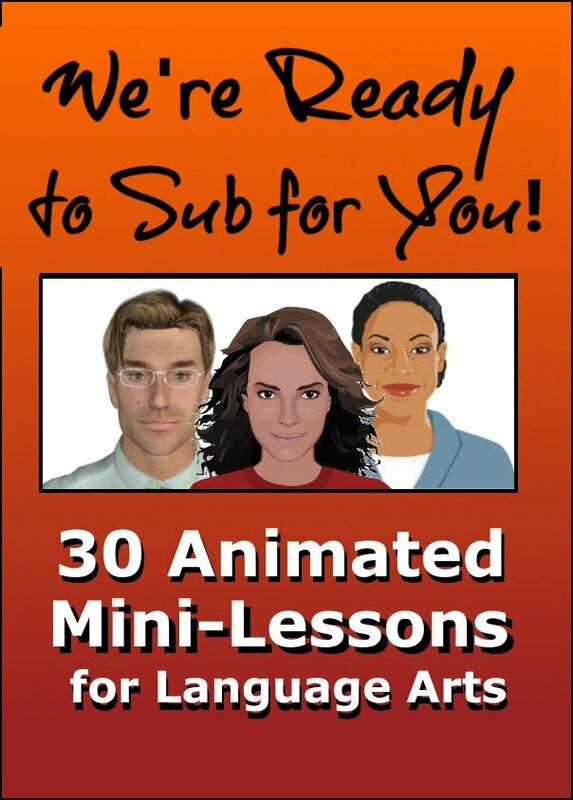 What makes this reading resource unique is its cohesive, step-by-step approach to autonomous learning mastery. For detailed information about this resource please, by all means, continue reading further. 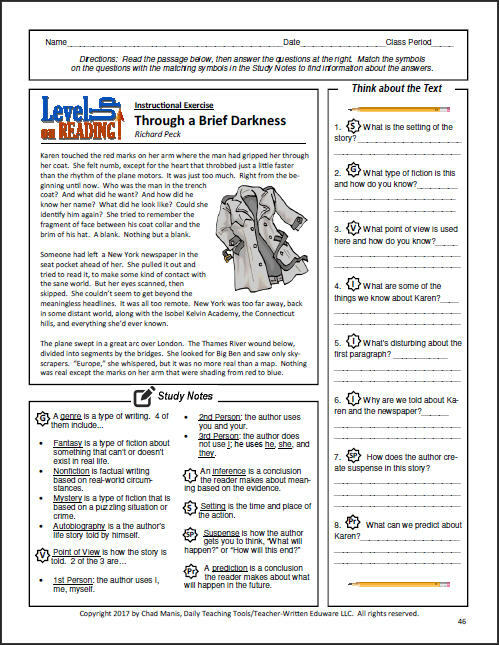 Note: The free version contains 1 complete reading packet (6 pages), and the Full Version contains all 10 reading packets (53 pages). 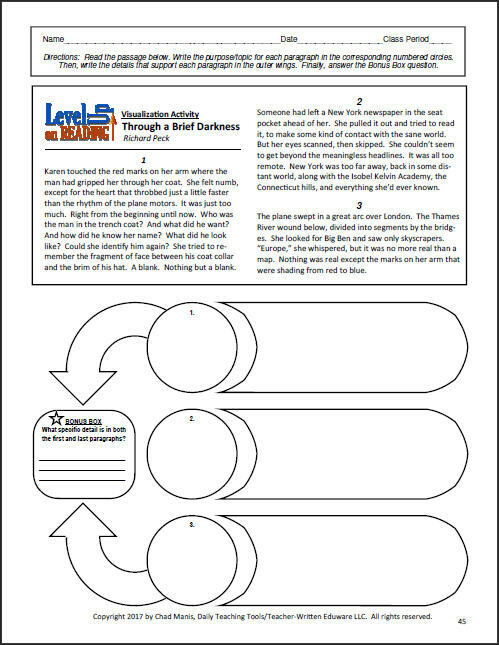 Each activity pack has its own, unique graphic organizer. 2. 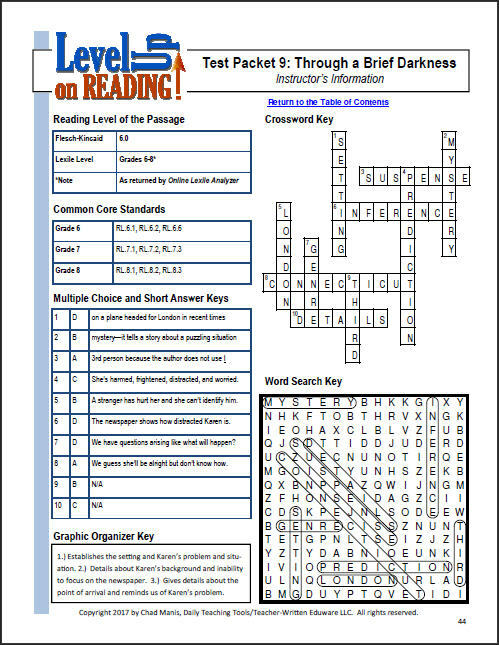 Introduce the Instructional Exercise so that students will have a built-in reference for learning the terms and concepts associated with the passage and questions. distinguish examples of fiction, nonfiction, persuasion, and autobiography. identify the author’s narrator and point of view. 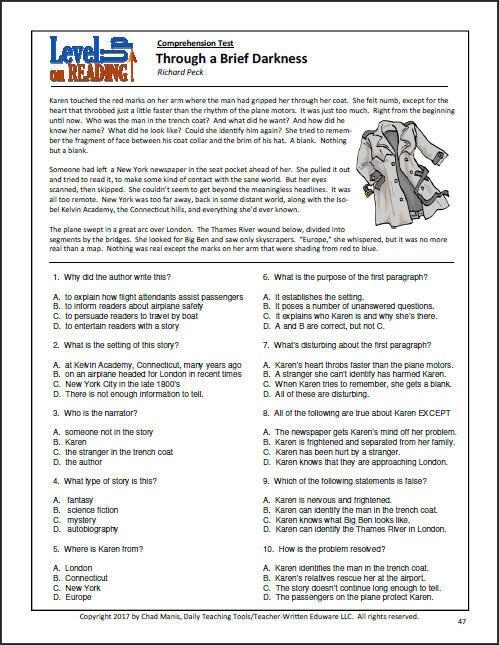 identify the elements of plot in a work of fiction. sequence events or information presented in a text. explain the author’s technique for building suspense. identify and explain the significance of a literary symbol. make predictions based on the evidence presented. compare and contrast two or more works of literature. distinguish cause and effect in both fiction and nonfiction. recognize the author’s purpose and/or thesis. recognize significant details that support the author’s purpose. make inferences based on evidence presented. explain an author’s call to action in a work of persuasion. The above listing displays the skill demonstrators that are most prominently emphasized in this collection. There are additional skills as well. Level Up on Reading, Volume 1 is presented in PDF format; as a result, the free and full versions are entirely compatible with both Windows and Mac. Thank you for your interest and time, and especially, thanks for all you do for our kids!